The much anticipated second book in the HYDRAULIC series, SKYGODS appears on bookshelves today. To see my review of HYDRAULIC LEVEL FIVE and interview with the author, Sarah Latchaw, click HERE. Just like in HYDRAULIC LEVEL FIVE where whitewater rafting terms are used, skydiving metaphors are used when discussing Kaye and Samuel’s life. Each chapter begins with a skydiving term and then moves into the story within a story. Samuel a best-selling author is trying to write the real story of Samuel and Kaye’s relationship. The reader learns the history of Samuel and Kaye’s relationship while experiencing the highs and lows of their current life. SKYGODS is the second book in the HYDRAULIC series. Even though this book can obviously stand on its own, I do believe the reader will understand the history and dynamics of Kaye and Samuel’s relationship much better if HYDRAULIC LEVEL FIVE is read first. We pick up right where we left hanging in HYDRAULIC LEVEL FIVE with Samuel and Kaye finding their way back to each other after seven years of being divorced. Each one is treading lightly and realizing they have much to learn about each other’s past and present. Samuel is currently on tour for his first movie premiere based on his best-selling book that will likely lead to many more movies. Kaye is noticing the building pressure of Samuel’s multiple appearances and interviews and wonders how much more he can handle before he hits the breaking point. Kaye is busy with her own clients as part of her PR firm in Colorado. Part of her stress-relieving measures include skydiving. When one of her dives goes wrong, she realizes that her behavior really affects those she loves. But is she willing to give up the thrill of adventure for Samuel? As Samuel ends up depending on Kaye more and more, Kaye realizes there is something more going on with Samuel than just the stress of a celebrity lifestyle. When she learns deep hidden secrets from his past, she wonders if she can really love him enough to overcome it. I am not someone who typically reads romance novels, but SKYGODS is much more than romance. There are multiple layers to Kaye and Samuel’s relationship and a history that keeps their story interesting and provocative. This is no fluffy romance but one with tension, love, fear, drama, laughter, and passion. The celebrity angle also keeps the reader fascinated by the many people it takes to make and keep someone a “star” and in the spotlight. Fans of Latchaw’s writing will also find her beautifully detailed settings in Colorado mixed in with the harsh contrast of New York and Boston city life. The friends and family prominent in HYDRAULIC LEVEL FIVE return again in SKYGODS offering strong characteristics and opinions while bringing more depth to Kaye and Samuel’s story. Latchaw is a gifted storyteller, giving the reader a perfect description of a situation, a person or a place. She places you in the moment right along with the characters either with her descriptive words or by using metaphors to explain the feelings in the moment. “I felt my body settle into wet, slimy grass. “My bones had been broken not seven years, but twenty-seven. Mom left me for her gardens and squished heart. Dad left me for his new young thing. I never let those bones heal. The dark and difficult moments of mental illness are brought to a glaring reality. Latchaw paints an brutally honest portrayal of both the one suffering and the loved ones who try to help. Readers will find themselves wanting to tell Kaye to run away and yet understand why she can’t possibly give up. The end of SKYGODS leaves the reader expecting more to come in Kaye and Samuel’s story. The reader can be hopeful for an ending full of happiness, trust, and love. Sarah Latchaw was raised in eastern Iowa and appreciates beauty in mud-splattered gravel roads and fields. She also loves to explore far-away places, thanks to countless family minivan trips across the States. This passion for finding stories led to college adventures in many different countries, and each place’s story rests in the back of her mind and in her photo albums. Sarah received her BA from Wartburg College in public relations and media, and entered the workforce, ready to climb the ladder. 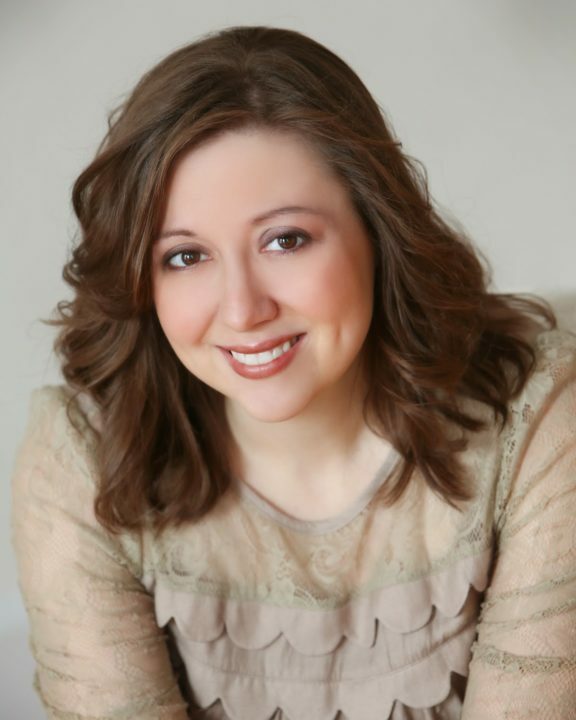 However, when researching MBA applications evoked feelings of dread, with the loving support of her husband, she pursued a career in creative writing and was awarded her MA from Iowa State University. These days, Sarah wakes every morning thrilled to cuddle her small children, show them the world, then capture that world and shape it into stories on paper. She is not thrilled when she wakes to her cats smothering her face. She and her family reside in Des Moines, Iowa—one of the best places to live and work. 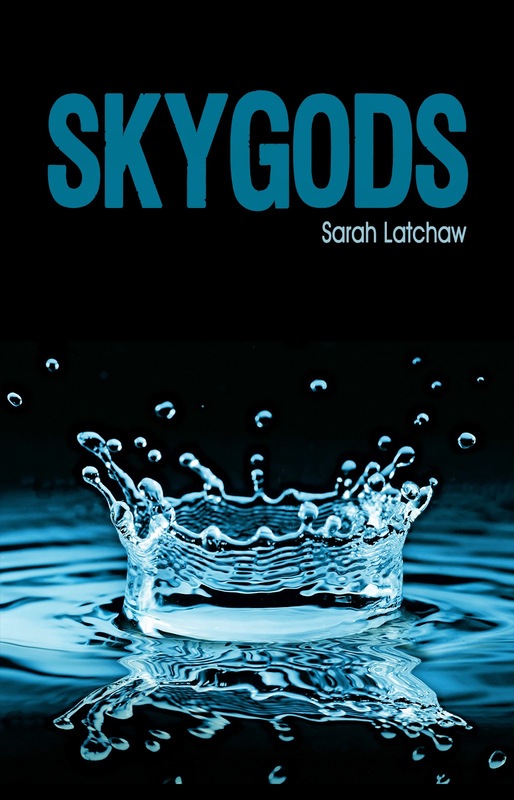 For more on Sarah Latchaw and to read an excerpt from SKYGODS, visit her website, http://sarahlatchaw.com. You can also find Sarah on Facebook, HERE and Twitter, HERE. These giveaways are no longer available. Thanks to all who entered. I also have the privilege to give away TWO ebooks of SKYGODS. If you would like to enter to win an ebook of SKYGODS, fill out the form below. You may enter only once. The contest will end at 11:59 on Tuesday, September 2, 2014. I will choose TWO winners on Wednesday, September 3, 2014 using Random.org and will contact them by the email address provided. The winners will have 48 hours to contact me or I will choose a new winner. The ebooks will be provided by Omnific Publishing after I pass on the contact information to them. I am not responsible for undelivered prizes but will do my best to make sure they are delivered. I'm glad you enjoyed the read! I know you aren't usually a romance reader, so I appreciate your perspective and thoughtful reflections on the book–it gives me a broader understanding of my audience. So helpful, thanks again.